Here is everything you need to know when Planning a Bachelorette Party for the bride to be. 1. Get an email chain going with the group of ladies who are going to be part of the bachelorette party. Introductions. You might not know everyone that is going to part of the bridal party. Ask the bride to be if it is okay to start an email chain with everyone. Start with simple introductions on who everyone is. Find out from your bride how she wants everyone to be involved. How involved does she want to be in the planning of the bachelorette party? Does she want to be involved a lot or not at all? Figure out how much she wants to be a part of the process. 2. Pick the bachelorette party destination. 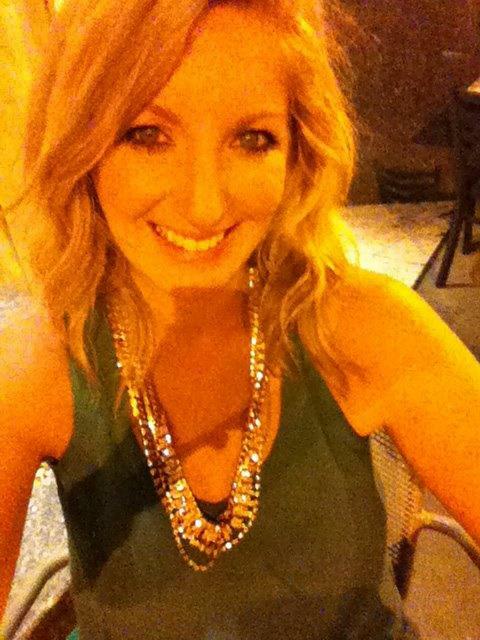 Are you staying local or are you going to do a destination bachelorette party? Figure out a list of places or cities that might work for everyone and then send out a poll to see what everyone wants to do. Makes sure you think about everyone in the group to make sure that everyone is down with whatever is picked for the bachelorette party location too. 3. Once you have picked the location for your bachelorette party you will have to decide on the budget. Budget is important because you are probably dealing with a group of people who might not all have the same budget. Get realistic about what your bride and the group wants the weekend to look like and how much these things are going to cost. Be up front about what things will cost with your group so there are no surprises. 4. Figure out what bachelorette party activities your group wants to do on the weekend away. Figure out what kinds of bachelorette party activities your group will want to do while away on this weekend trip. How many activities does the group want in one weekend? Come up with a bachelorette party itinerary that might work for everyone and let everyone give ideas. 5. 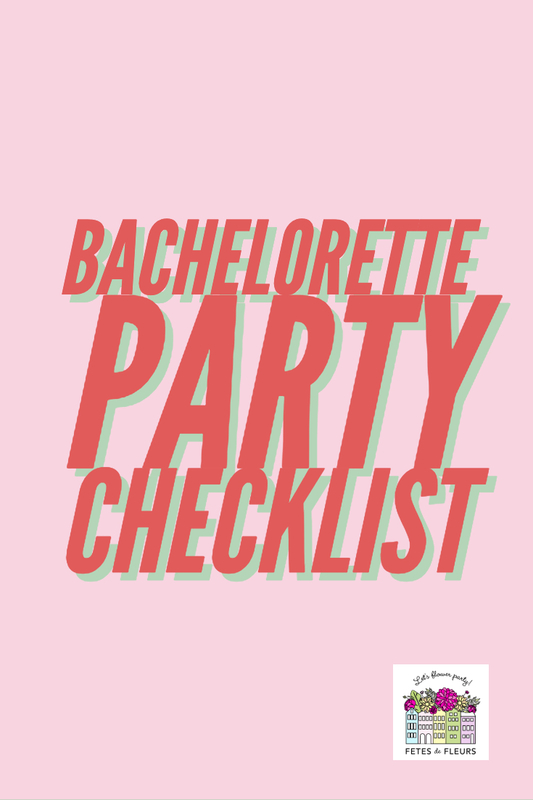 Solidify all the plans and everything about the bachelorette party weekend. Don't change plans a ton after everything has been done. Get excited for the weekend away and know relax. Figure out general time frame that the bride wants to have her bachelorette party on. Use apps like HOPPER to see how much certain weekends are going to cost to fly wherever you are going. Figure out the general vibe the bride wants on her bachelorette party - does she want chill or fun, fun, crazy time? Once you get a general understanding of what she wants then your group can come up with ideas on where to go and things to do while there. Set a date! Once the weekend is set then you can really get going on actually planning the bachelorette party weekend. Remember to get the email chain going. Send reminders on anytime frames that need to happen- buying tickets by a certain date, making reservations at restaurants, planning activities and anything else that weekend that might need to be booked ahead of time. Spring and Summer are very busy times for bachelorette parties in lots of cities and locations so keep that in mind and think ahead to book things you really want to do. Make sure that you buys the bachelorette party decorations and bachelorette party gifts/favors that you want for the airbnb or hotel. Remember this is about the bride to be and not YOU. This is not the time to make anything about the friend group. You are there to celebrate the bride to be and the love that she found. Don't get caught up in the little things. 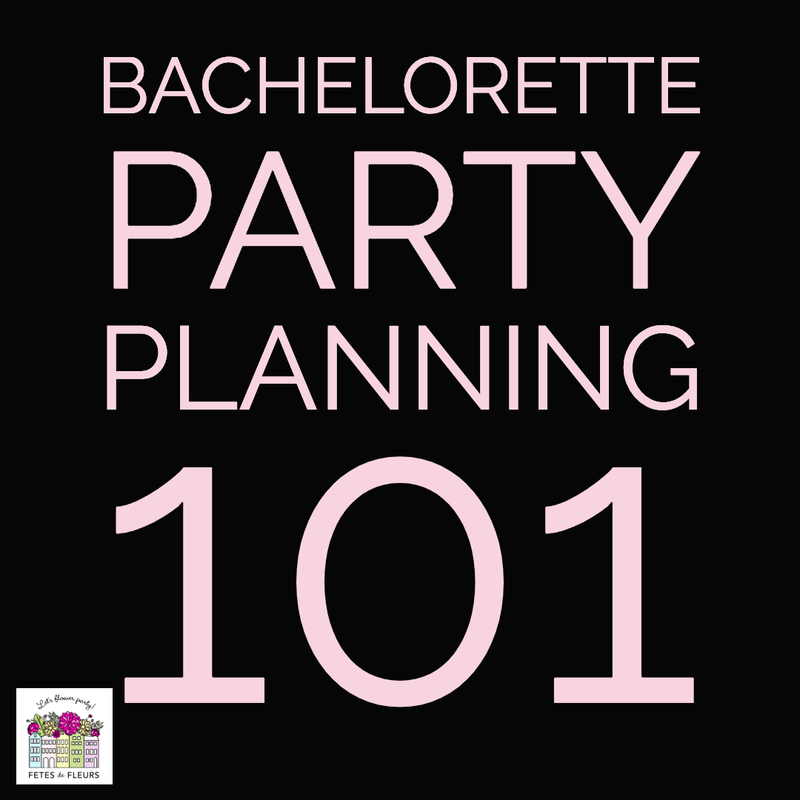 Just think ahead and plan ahead so nothing is stressful in the weekend that the bachelorette party is actually happening in. Get the bachelorette party theme down. Revolve the weekend around that. Pick the weekend the bachelorette party is going to happen. What is the location of the bachelorette party? List of the must do things in that city or location you are going to so your group can figure out what you want to do while there. Reservations for any activities or restaurants you want to go to while there. Buy the bachelorette party gifts and decorations. Are you going to have games at the bachelorette party? Figure out which ones. What is the hashtag for the weekend? Create a group Pinterest board and get the bride on there so she can see some of the ideas that you have for her. Make sure everyone in the group is using Venmo or Splitwise to make payments easy. Once you have the weekend itinerary down - get that out to the group so everyone knows what is going down that weekend and what times those things are happening. FUN TIP: Don't tell the bride to be everything that you are doing. Leave some things for surprise for her! Maybe a fun activity you can leave out or as a surprise so she doesn't know every single little thing that you are doing that weekend. Don't over-schedule your weekend. Make sure there are some down time in the schedule so people can rest or just do their own thing for a bit. Remember, to HAVE FUN! 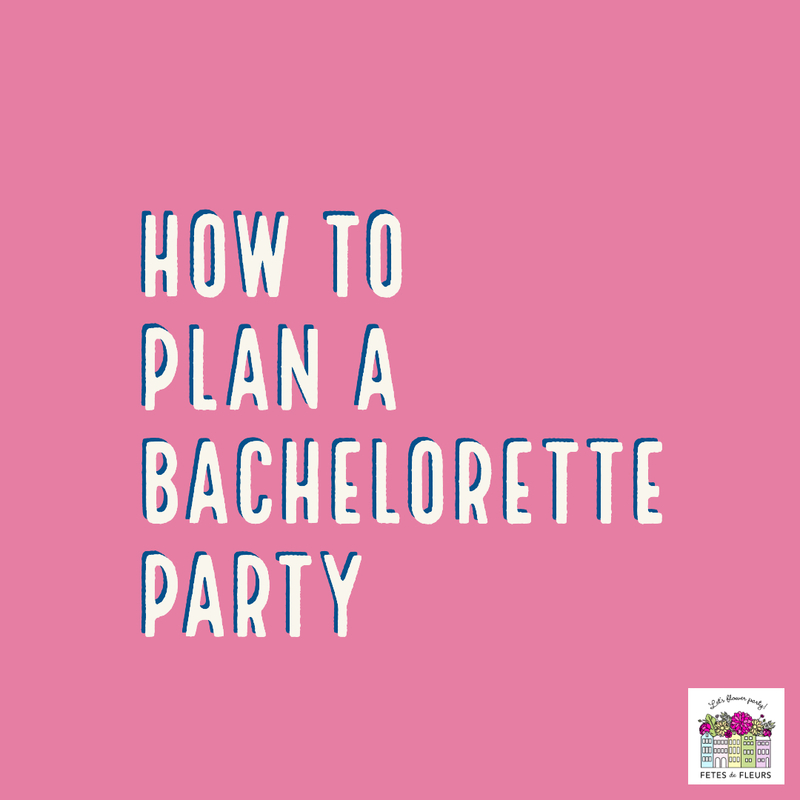 This should not be stressful and if it is becoming stressful then recognize that and maybe get a bachelorette party planner involved because they can help with some of that stress. It is hard trying to pick all the fun and perfect things to do for a bachelorette party in a city or place you maybe have never been. Use Pinterest and follow hashtags on INSTAGRAM for fun ideas in the city that you are going to. If you are looking for a fun, girly, and floral activity while on your bachelorette party weekend we can help you out! We do flower crown workshops for bachelorette parties in cities around the US. We come to your hotel or airbnb to setup our signature flower bar where we then teach your bachelorette party group how to make flower crowns. Then you can wear your flower crowns out on the town. This activity doubles up as something fun the bachelorette party group gets to do and also as a bachelorette party gift from the weekend trip. We can help you with fun ideas and everything bachelorette party if you email us at ali@fetesdefleurs.com or if you fill out the form here to request more information on how our bachelorette parties work.